Know Myrtle Beach High Class of 1979 graduates that are NOT on this List? Help us Update the 1979 Class List by adding missing names. 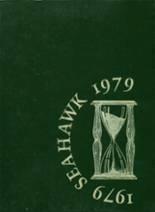 Once in a lifetime event, Calling all classmates from 1970-1979 to a High School Reunion to be held at Myrtle Beach State Park, 1pm-9pm. shelter B3 to include an old fashioned cookout, games, Music, dancing, the beach, and a chance to reconnect with old friends. Tickets for the event $25 per person, First 5o people to send payment will receive complimentary wrist bands to cover State Park entry fee (additional $5 per person)Mail check or money order to Lynne Ebert c/o 9152 Baywood circle, Myrtle beach SC 29588. Please help me spread the word, & I hope to see you there. More 1979 alumni from Myrtle Beach HS have posted profiles on Classmates.com®. Click here to register for free at Classmates.com® and view other 1979 alumni. If you are trying to find people that graduated in '79 at Myrtle Beach HS in Myrtle Beach, SC, check the alumni list below that shows the class of 1979. For former Myrtle Beach HS students from SC, you can view the class reunion information that has been posted by other site visitors. In addition, we encourage you to post your profile in the alumni directory, share information about the school activities you were involved with and reconnect with Myrtle Beach High School alumni.